All part of the house always needs to be maintained especially if it is where you commonly stay like bathroom, kitchen and living room. Proper maintenance and home interior should always be considered because every person in your house has its own opinion when it comes to cleaning and proper interior mixing. 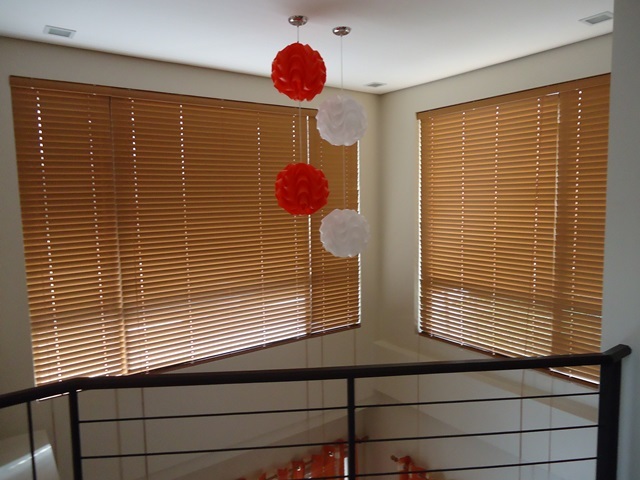 Our client from East Service Road, Muntinlupa City opted for Faux Wood for their living room window at home. It adds a refreshing and calming look in their simple yet unique and modish living area. 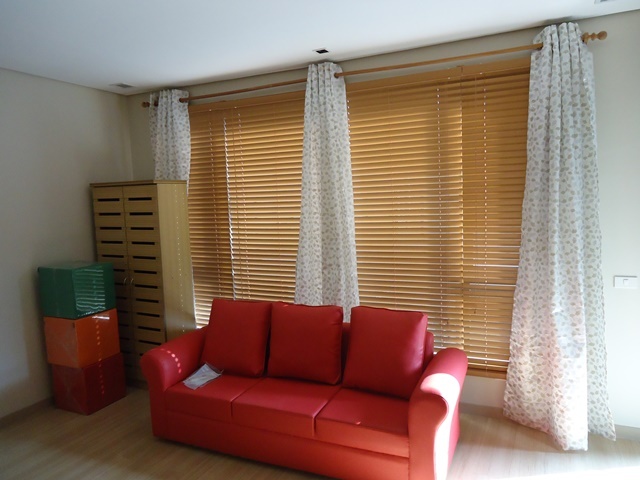 Faux Wood blinds are made of PVC material and good for any area at home for it is warp and moisture free. With Faux Wood blinds, there is no need to worry about home security and privacy because in just a small twist of its pull cord, you can choose right away if you want it to be open or fully close. More homeowners and offices choose Faux Wood blinds because it reduces heat and can help every person to calm and relax while staying in an alluring space. It is necessary that every occupant is comfortable that is why we have to be sure in choosing the right material for our windows. Different types of blinds with various colors and textures are available in the market nowadays and one of the best suppliers of quality window treatment is DS Windows & Walls Interior Supply. For inquiries regarding our products and services, just call us at (02) 893-1373 / 0916-311-3909 / (02) 403-3262 or email us at inquiry@dswindows.com for a quick quote. You may also visit our showrooms at 2nd level Pacific Mall, Lucena City, 3rd level Robinsons Metro East, Pasig City and 4th level Waltermart, Makati City. You may also browse our FACEBOOK page and like us at www.facebook.com/blindsphilippines.